CLICK HERE to check out the new photo gallery updated for 2018. 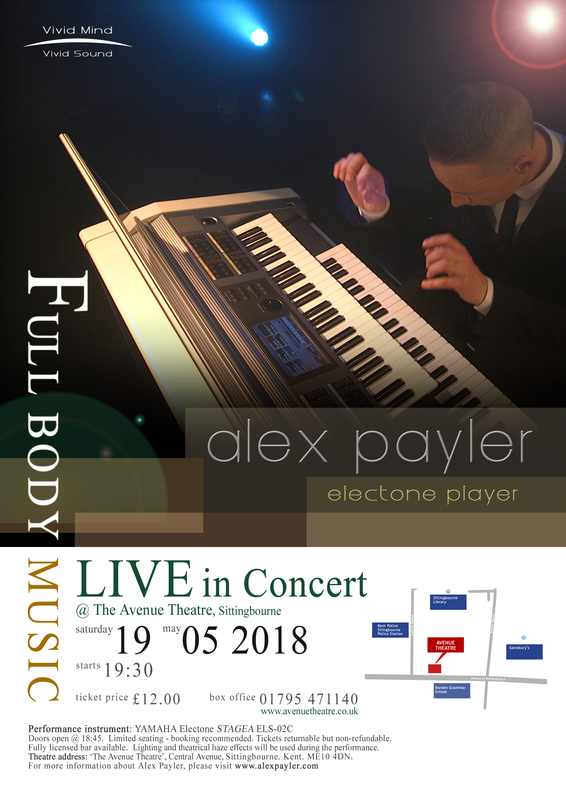 UK Electone Player Alex Payler has just released 5 unique live peformance videos. Featuring the latest YAMAHA Electone Stagea ELS-02C, they show the Electone to be a LIVE musical instrument that, through the use of the entire body, has unmatached expressive performance potential that can never be purveyed in an audio recording alone... Watch them HERE. Alan Ashton features not one but two tracks from Alex Payler's current album on his popular Radio Show. With such comments as "when Alex Payler sets his mind to a production. a production with a capital 'P' is what you get" and "from the minute you see this CD in the racks, the professional standard leaps out at you...it is a world class product" - we think he liked it!